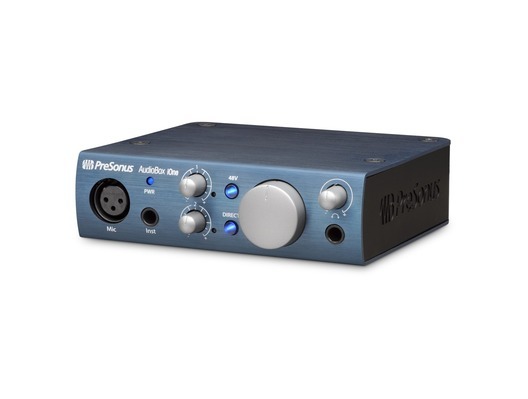 Here we have the PreSonus AudioBox iOne audio interface for musicians who want to take the recording studio with them. The AudioBox iOne is remarkably small and lightweight making it ideal for carrying in your shoulder bag or backpack, yet still gives you amazingly clear sound via its award-winning microphone preamps and digital converters. 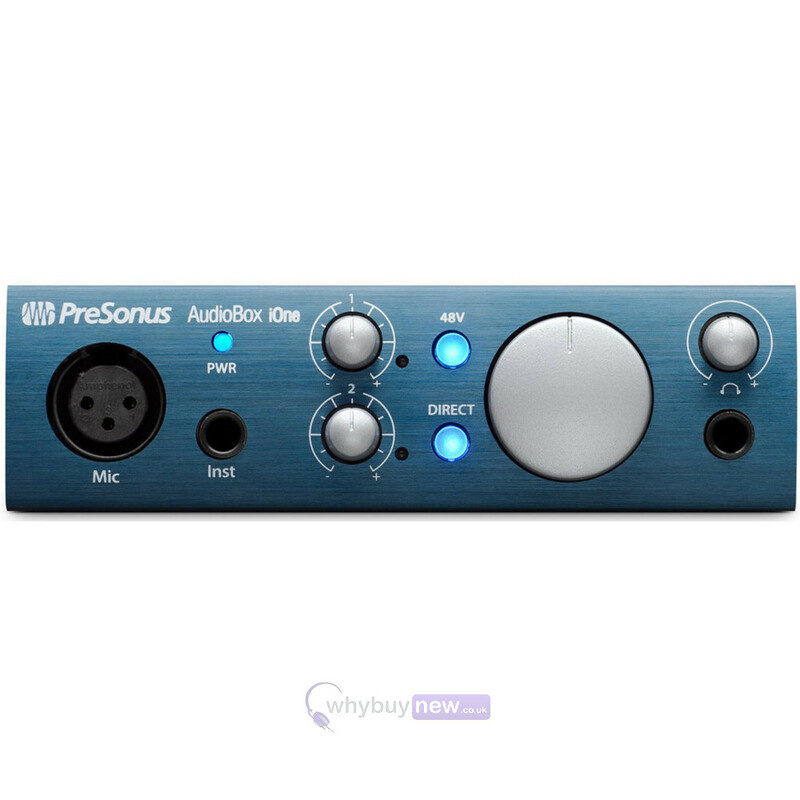 Included with this brilliant device is PreSonus' own production software Studio One Artist, so all you need to make music wherever you go is the PreSonus AudioBox iOne, your laptop, your instrument/microphone and your own talent. 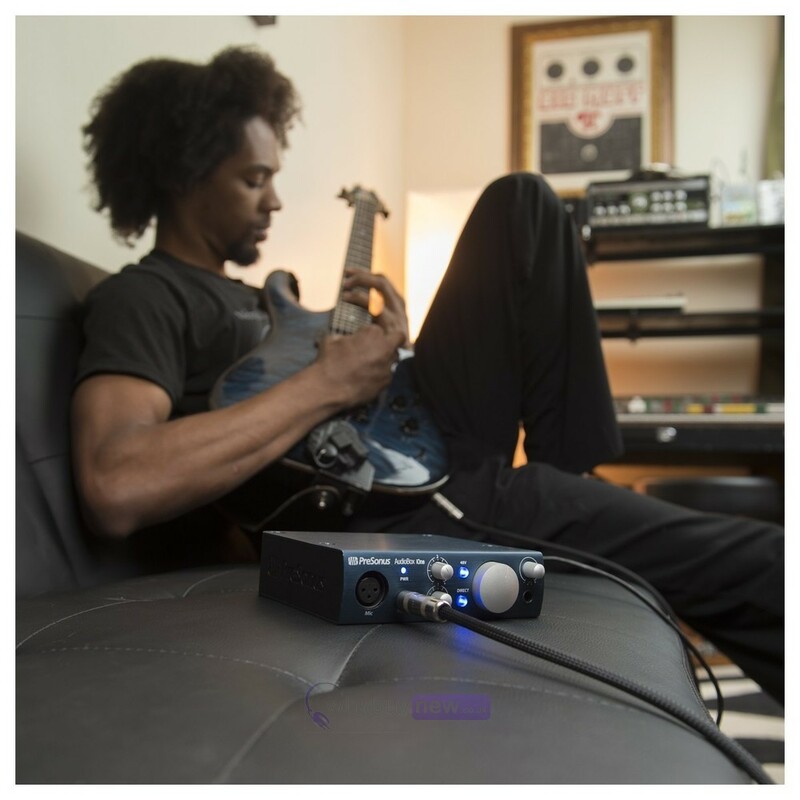 The audio interface for guitarists and songwriters on the go. Inspiration is everywhere for singer/songwriters, so bring your studio with you and record wherever you go. 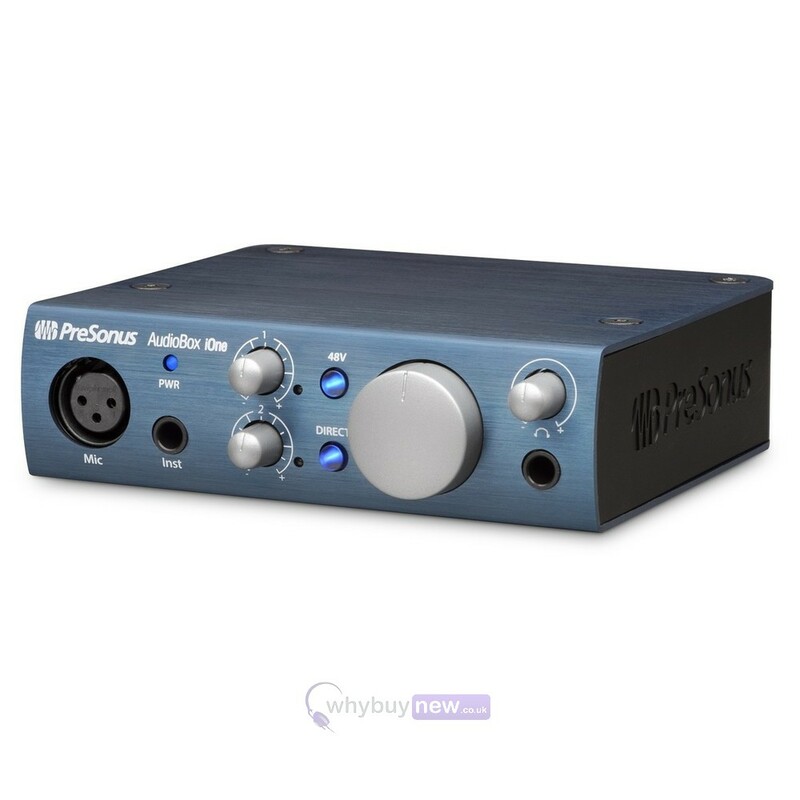 The two-input PreSonus AudioBox iOne lets you capture your voice and instrument on your Mac, Windows PC, and iPad. Simply plug in your guitar and microphone, and you're ready to create! 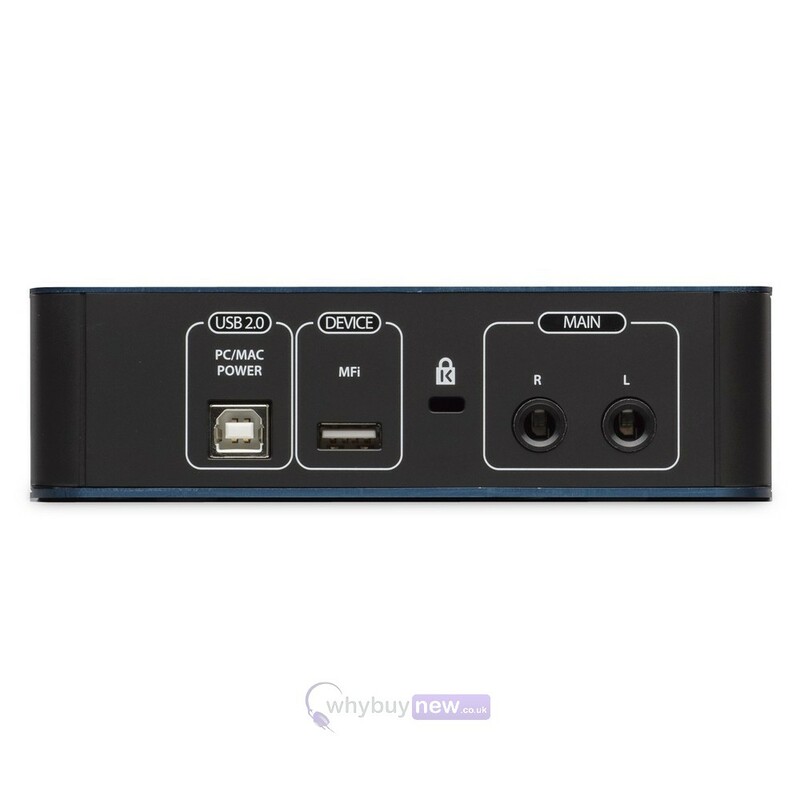 USB bus-powered and bundled with powerful, easy-to-use recording software, the AudioBox iOne makes it easy to capture ideas and create professional-quality recordings. 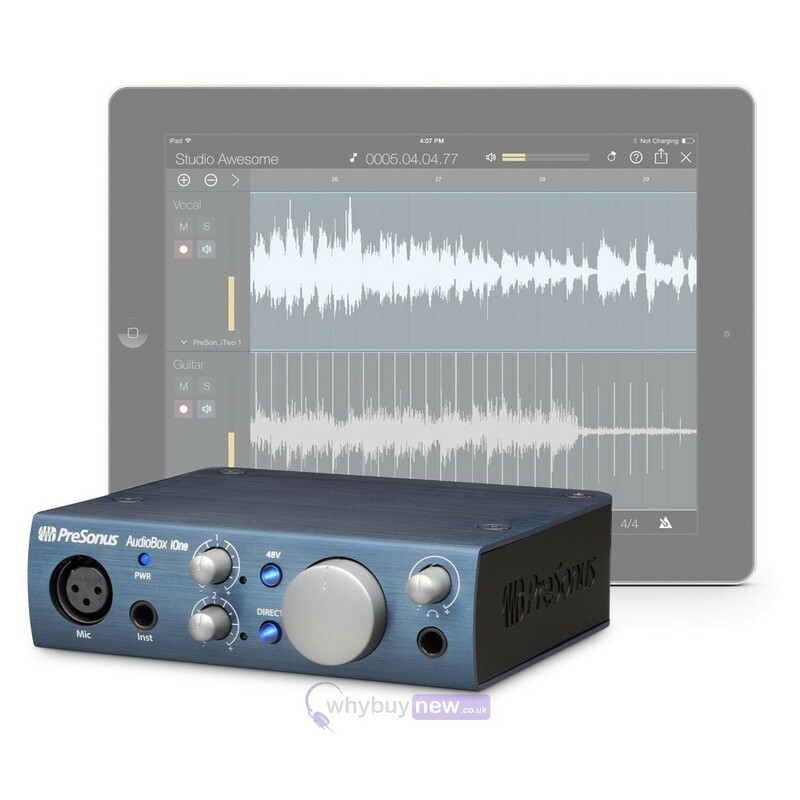 The AudioBox iOne audio interface and its software library make recording your compositions and tracks easy! Record in stereo on your iPad with free Capture Duo or record up to 32 tracks with affordable Capture for iPad. Then wirelessly beam your iPad tracks to our award-winning Studio One recording and production software for Mac or Windows for editing and mixing. Or do the whole project on your laptop with Studio One. Either way, the AudioBox iOne and its software library provide all the tools needed to record on the road and in the studio. To record great-sounding music, you need outstanding preamps and digital converters. And to hear what youre doing, you need a headphone amp that keeps up with the rest of the design. The AudioBox iOne audio interface delivers it all! Were famous for our award-winning microphone preamplifiers, and we've equipped the AudioBox iOne with a new, sweet-sounding mic preamp that will capture your voice in all its glory. Clean, clear, 24-bit, 96 kHz digital converters and an ultra-loud, crystal-clear headphone output ensures you hear every detail. AudioBox iOne is a mobile audio interface in the best sense of the term. It can sit on a tabletop or fit in the pocket of a backpack or laptop bag and works with standard iOS power accessories. Its metal chassis is built like a small tank yet it weighs just 1.35 pounds (0.63 kg). Wherever your travels take you, whenever your creative muse calls, your AudioBox iOne audio interface will be ready to help you compose and record your masterpiece. 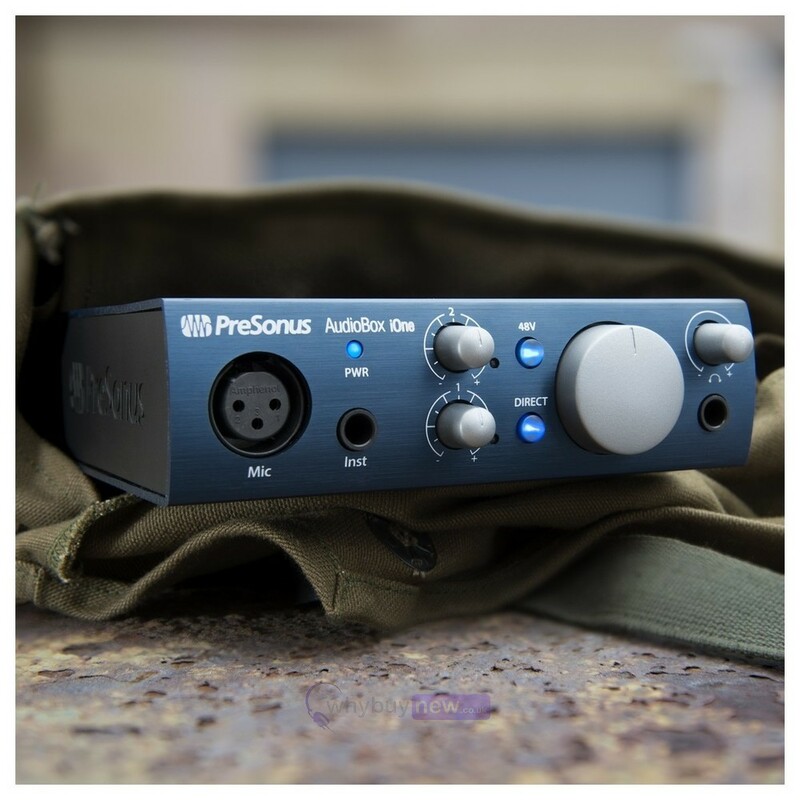 Check it out at your favourite PreSonus dealer. This suite of plug-ins adds a wealth of fresh sounds and effects to Studio One. Cherry-picked from the first names in virtual instruments and effects, each plug-in brings a different flavour of practical magic to your songs. These plug-ins aren't gimmicky one-trick ponies - these are real-deal workhorses that you'll rely on for countless mixes. Note that the speed of your processor, amount of RAM and size and speed of your hard drive will greatly affect the overall performance of your recording system. Also, a more powerful system (faster processor with more RAM) will allow for lower latency (signal delay) than you might experience while monitoring audio or MIDI signals. Monitor resolution for both PC and Macintosh should be no lower than 1024 x 768 pixels.